Taking the screen cover away can be tricky. That new hinge design is harder to open.. This panel is very thin. ( it has to be to fit ) Be extra careful! Use soft and thin double sided tape to secure it to the screen and to avoid metal contact. UPDATE: there is a great follow up on installing touch and HDD, thanks HeartBeat! where should i ground it? btw i realize that under the keyboard, you said that there was a warranty seal, can you get the screw out without removing that seal? also, we can stick the double sided tape to hold the controller anywhere on the board? there isn't a place that the tape would kill the circuit board right? OMG, you are the man! I will definitely order one after my trip. I assume those data wires won't interfere with a zif HDD. Nice touch there with tape while soldering. Question, I know there are drivers for linux, but does it work for all versions, say xubuntu? yep, you can place it anywhere it fits..
all features ( like zif )will still work after this mod.. Does this will make the Webcam to stop working on EeePC 900? Thank JKK, I will definately study this. It's goooood. did you connect the touch controller in a internal USB-hub? or in some USB port which is now unavailable? I got where it was connected but I did not understand from where comes that USB connection. Anyway.... THANKS for the good job. Jkk,when you have some time please give us some additional info on soldering this touch panel on an eee 900. Do you think that the best way is soldering the wires the way fidodido shows in the photos of his touch screen on ebay? Or maybe there is a more convenient way/place to solder the wires? I connected the controller to 2nd SSD PCI-E USB pins which are not used for anything.. so you don't need any hub. SSD will continue to work. Jkk, you are the man! Incredible! i just checked your 900 post and i'm ok with the data cables and the ground cable but i can't figure out where the power wire(red cable in your photos) comes from. dont use that power source. It is powered also when it's on stand by. I grounded it to USB ports foot.. I realy would like to see an ACER ONE with touch. Do you know if someone already did it? I still did not buy any of those but i'm bending to the acer one. Comparing the screen from both Asus and Acer, the acer is much brighter then Asus which can make the touch better. Don't you think? If a I understod right the usb conection for ZIF isn't used??? is it possible to use both SSD (4+12) and touch together? 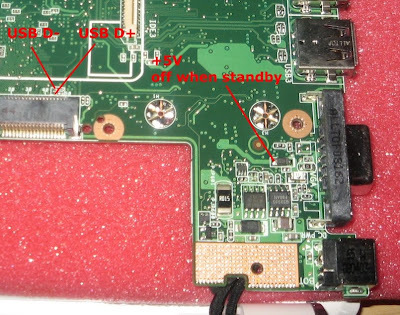 Alois, using the USB connection of the mPCIe connector (like JKK did) still keeps your SSD functional. The ZIF is a different, smaller connector new in the 901; don't solder anything to that. JKK, did the fido's panel affect the optical quality of the screen much? It looks like you didn't remove the original antiglare filter (now nonfunctional under a new plate) or anything else for that matter. Is the panel really so thin you don't need to remove anything, like the metal frame? Lastly, was the panel plastic or glass? now it is available, sorry. i think the error was from my browser. i like to know the answer for the antiglare question above. Haha..."Think think think...AND DO IT!". Awesome tutorial! jkk, did fido supply the wires? or did u salvage them yourself? if u got them yourself.. what gauge did u use for the usb? thanks..
i forgot to ask jkk, are there any other usb connections onboard that do not require using the webcam/external usb. In other words, any othe data + - scattered throughout the board? and perhaps a 5v? I uses wires from a standard usb cord..
one question, i my controller to panel wires are red, white, green, black. which colors corresponds with Y-, X-, Y+, X+? uuuh! Mine had different colors..
check my first picture if you can see how the wires connect to panel connector..
upper side facing you has the 45' corner. .. you can test different combinations, it won't brake. This looks to be the solderless hub. I'm going to wait to see if an entire kit comes out. At first you used XP to calibrate the controller and then near the end when its all put together you had vista running... whats happening there? Nice mod yet again ;) I want a 900 or a 901, havn't really decided i prefere the old look. JKK what is your preference the 900 touch or the 901 touch? Jkk, how durable are these things? do i have to worry about it breaking? i am not worried about myself.. but i let alot of people play with my eee.. and they will love the touch screen.. what do ya think? 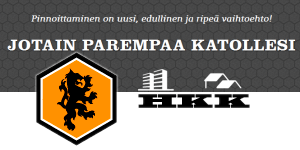 Jkk that's a really nice job you've done there. Is there a kit for the 1000H? Its a feature that I'd really like to have. How is batterie life affected? I like the idea of the touch panel but I wouldn't sacrifice much batterie life. it effects so little it's hard to even measure..
Ben, not meaning to answer for JKK, but most likely... People understand that these things are in high demand, so I'm sure someone out there will make one! Just wait a few months! if you go through the eeepc 900 post, u'll find that he's using a plug-in called Grab and Drag in Firefox. Hope that helps. can anyone help, I've soldered the controller into place, booted xp to test but noting is happening. xp doesn't come up saying it's found new hardware and I've even tried installing from the add hardware section in control panel. is it possible I've got a bad controller? Do you think that we will see UMPCs like the EEE with native touch screens in the next 12 months? It seems like there is a lot of demand for them. I have a 701 4G Surf with touch screen and love it. word of warning. be very careful when putting the screws back into the screen cover. I cracked my TS. not sure how though. Is there a calibration GUI that can be used in Ubuntu? 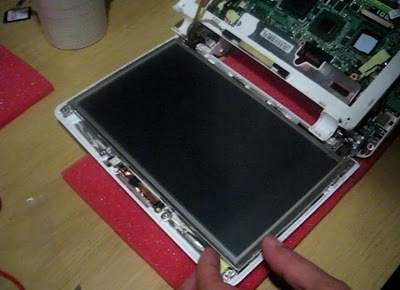 One more question, can the solderless hub mentioned above be used with this touchscreen? It would be worth an extra $50 if I didn't have to worry about frying something. I wrote to fido-dido about the solderless touchscreen and he said it should be available from next week if not this one..
Can u pls make a vdo for asus eee pc 1000h with a solderless touch screen. Is the quality is as same as Fido's? Hi, I have diffrent color for the panel cable. have you experienced any accuracy loss of fido's touch screen? i have installed mine on my eee 900 but i have to calibrate it often. do you think it might bad soldering could cause this strange behavior of the touch screen?? are u using edge compesation? i remember that it used to mess stuff on my 701.. I'll test a bit later..
with edge compensation off it seems to work better but it still loses accuracy sometimes.I'm afraid i didn't solder it properly.i used Fido's wires for +5v ground and D+ D-. can i use the wires from a standard usb cable instead? hold the phone did you install that without using sticky tape to hold the touchscreen in place or was that just for speed. That is incredible! Now, can you add on screen virtual keyboard to it? In this way, you do not have to use the hard keyboard all the time for viewing web pages. By the way, I also watched your Youtube review on Nokia N810. That is wonderful too. Do you think it is possible to replace the small 4.1 inch touch screen with a large one, say, 7 inch one. Of course, you will need a large housing for it. 4.1 inch screen is really not that great for a full scale web page. I have a Nokia N770. I am thinking to use it as the core of a larger home-make internet tablet. Are you having problems with the calibration over time? I've bought the same kit from fido-dido (haven't installed yet, but I've read a couple of posts here and there, that the panel is loosing it's precision over time. Is this due to interference with the panels cables? Is it possible to isolate the cables with say the stuff that's around tv/radio cables? Would that short anything? I havent experienced that with any of my devices.. It might be a sw reason or that the film cadle is tightening the panel a bit. Film cable from the panel should be so that it doesn't tighten when you move thr lid. anyone who's used these... are these touchscreens good enough for inking? such as in Microsoft onenote?? it it works with onenote i'd replace my laptop i use for school with this DIY tablet.. if i add the 8800mah battery that would be the perfect machine for school.. I'm shure this might sound silly, but is it possible to put tuchscreen on the eeepc screen without opening it? I meen fix it on the front and powering it throw a USB connector ? I know it will be ugly, but it would be quite more simple & riskless & an easy way to test the tuchscreen before realy go for installing it. I am looking for any other possible USB points for connection of the touch screen as I seem to have damaged the D- connection on those very small connection points... where else can I get a usb connection.. I have a touchscreen (for 900) and Hub for (700) (separated) from Fido. I wunder if I can connect these together and plug it in the camera port on the mainboard of my 901. Or any other port, so I don't have to solder. I know this might be a stupid question JKK, but I din't really get it from the video: do the webcam and all three usb-ports work after the touch screen install? There are no stupid questions, only stypid answers. Yep, webcam and all ports and everything else will continue to work. 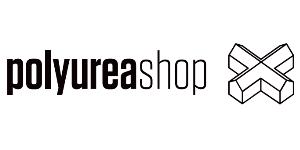 I want some information about touchscreens for a EEEPC 900A. I don't know if they are working with a 900A (is there enough space?). I don'd know if the panels are "mirroring". There should be no problems withe the drivers and Linux Ubuntu MID. I live in Germany an I can solder. please someone take a minute to help me out.. I need ANOTHER d+ d- connection for the touch screen install points.. the one shown in the tutorial is not longer available on my mother board because I scorched it... any information on where else I can take a USB connection would be greatly appreciated..
but you would need to solder the ( short ) the pins on the other side of the mobo first..
Nobody asked this question, is there a top and back side for the touch panel? Or both side are ok? not bad, we can supply this touch panel. JKK thanks for your response... are those points in the picture the actual D+ D- connection points or do I need to solder them TOGETHER first.. I am sort of newbie at this so any details would be appreciated..
Hey jkk, you have been doing this only on asus computers, could you do it on the msi/medion computers ? I'm sure a lot of people would be interested !!! I bought a touch panel from fido. I am looking your video mindfully. Have anyone tested how much energy this Touchpanel uses? Or how much percent of the accumulator get "lost" from the 901? It uses some 100mwatts... same as mouses... so not enaugh to really notice. I am enthusiastic about the touchpanel. I am testing with WinXP. But I don't know how to use the right mousbutton. In need some newbie-help ;). That was the account of my sister ;). the touchscreen was press and hold for a while if the checkbox checked. i am visiting your site every day..
i want to know whether there will be a 10" mod for eee 1000 or not? are there any sellers like fido, who sell 10" panels? is there enough or maybe more space to do mods as in 901? I think between the pins at Data+ and Data - are two chip resistors. Correct? You may use these pictures if you want. 2. hard to tell.. testing is only way to tell..
Are there resistors which I could damage? How much temperature should have the soldering iron? Or are there other points (not so triclky to solder) for USB data+ and data-? nope, they are all the same..
you could solder to usb port but then you would have one less..
can I use the USB ports of the camera? Are they bigger? Where are they? Or are there some other easier USB D+ and D- solderpoints (without the normal USB ports)? Are all the extra USB points you use for upgrading are not used by the computer? Hi! since i bought my eee pc 901 i follow your web almost every day! Now I have a problem with the touch screen. i bought one from fido-dido via ebay...i welds all wires correctly then i put the screen..it works not very well...i thought where the solders..but when i solder again some wires it stop working...and now de software for touchscreen dont detect de panel...can you help me? my email thekymera@gmail.com thank you!! no answer?? :( anyone know if there's any fuse on the touch controler?? please help me. How come the YouTube video (http://www.youtube.com/watch?v=lt5ppKn05jg) isn't available in HiDef anymore ? Do you use mouseimp pro for scrolling? does it work well if rotate the screen? 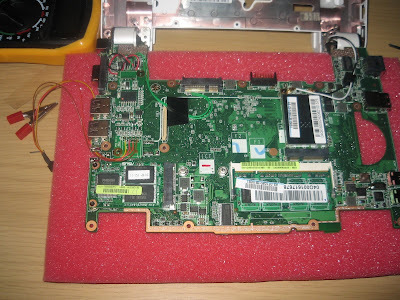 I just installed fun and easy touch kit on eeepc 900a no solder eeti 4port hub/controller will not fit on top of mainboard. 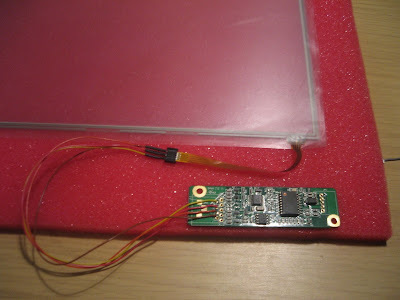 I put it over in the front under mainboard under atom sticker area...the mainboard camera port to controller connector wire is too short, so soldered connector onto camera connector(no camera in this model anyways) I calibrated it but it wont work right...the cursor is crazy! is it because of compiz? Software installed, found usb device, kensington bluetooth mini dongle is plugged into hub and is working(mounted it next to ethernet port with case mod )checked connections. is it possible to plug in screen ribbon upside down? Just wondering if you have tried installing the touch panel on the Eee PC 1000H? TY JKK...HALLO to everybody! 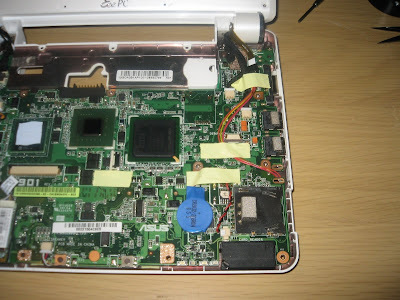 I'd like to know if it is possible to fix a touch screen on a eeepc 901 GO. I wonder if there is enoght room inside the eeepc to put the controller of the touch sreen, because this version has the 3G modm already inside. I saw in the video, that Mr Jkk put that controller esactly in the room in with my eeepc9000 go has the 3g modem. May i fix it somwhere else??? seems like fidodido999 is no longer trading on ebay. Is this possible with the eee pc 904ha?? hi JJK i am trying to install a TS and a M$ streets and trips GPS on my EeePc 1000. I would like to know first is it possible and second will i still be able to have normal functions? Like if i tap into the +5v power you mentioned on the 901 model will i burn it out with them two devices attached to it?? what is fido-dido website address? I heard that fido doesn't sell these anymore.. i planed to get one from dealextreme. one of their many models there. An actual link 4 this panel? I have a 901 eee pc. I finally got the touch screen working, actually it was working when I first put it in, I just didn't know that it doesn't sense skin, fingertips, man I'm pressing and pressing, and I found out stylus works perfect, finger nails work perfect. I installed the Hoda kit on ebay ---mydigitaldiscount.com,------ could have been packaged in more than a fedex envelope, but it's working great. Lots of headaches and probably 6 hours of working slow to avoid breaking things. I've pulled apart lots of ipods, this is much much harder, but the reward is great! So I recommend mydigitaldiscount for a 901 touchscreen, it is fine. I'm the guy above, hoda 901 kit. I installed the screen with nothing between glass and lcd screen, I can't understand putting cushy double sided tape between them just in two places, and I don't have room, it bulges like everyone says, but I don't take my netbook anywhere, so it should be fine. Also I can feel it bend when I touch in the center, is this right???? Touch screen does not rest on lcd screen in middle, feels kinda neat pushing on it and it hitting the lcd screen, but probably I should do something about it? I also left out the 4 frame screws for the lcd screen, which I think is what hoda instructions say to do? To give is more room I guess. I left in original cam cable, wish I'd taken it out for more wiring room, it is a tight fit upper right of keyboard. I'm just glad it works, and it is a little slow with response, not bad, like .2 seconds. I don't know why you're supposed to unhook wifi cables, anyone know???? Do they carry current from the air :o, I dunno! I didn't have to take out ssd or take off bottom ram cover. It is cool, very cool. Screen looks a little darker, but is super fine overall and the buzz from getting it done feels so good. It is good. mydigitaldiscount ebay is where I got it like I said above. Like $87 total and fast 3 day shipping. Hi jkk, thank you for your effort in making this video, it was very interesting. I have a question that I think alot of people are asking at the moment, where to get these panels from a good dealer with the right chip that doesnt overheat. Also I have seen many Panel-Sets that are connected to the webcam and this way disableing the webcam which is terrible. Your installation and panel-set seem to be the best I have seen, but I cant find any dealers. Where did you buy it? Thanks in advance, and keep up the good work! What would be the closest model to follow the ho-to for a 904 HA? since you dont have one specifically for one, and im half assuming this one would be the closest, since its the similar model but wider, but i dont want to take chances.